A beautiful wintery Christmas scene at the Landratsamt in the city of Freising in Bavaria, Germany. Snow and ice cover the ground and trees in the Landratsamt courtyard in Freising, Germany on Christmas day. The wintery scene features a brightly lit tree and is backdropped by an illuminated church tower. 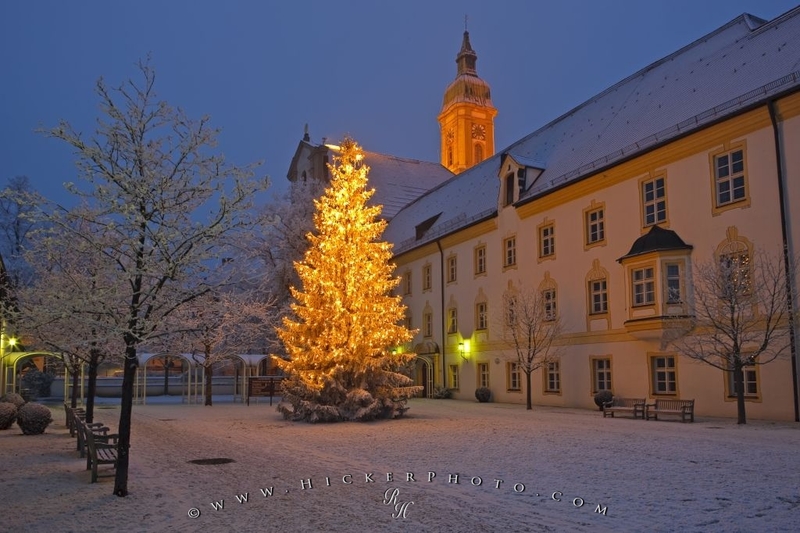 Photo of a Christmas scene on a wintery evening in the city of Freising, Germany.